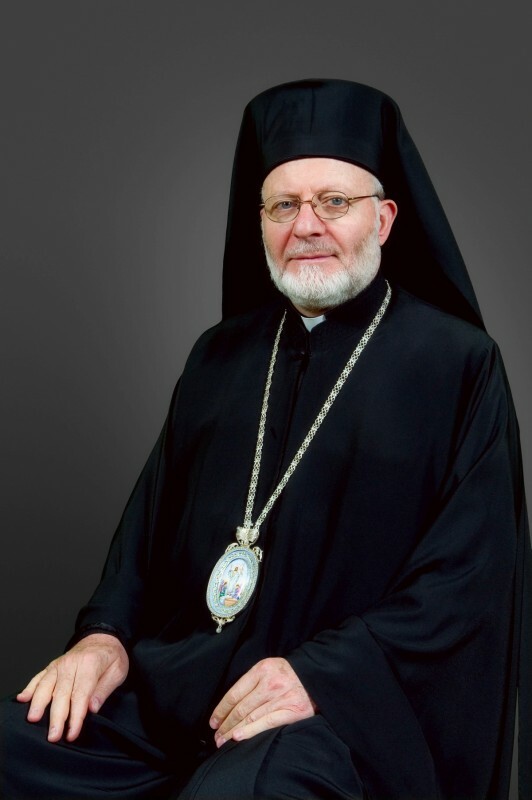 His Eminence Archbishop Joseph has been elected Archbishop of New York and Metropolitan of All North America of the Antiochian Orthodox Christian Archdiocese, by the Holy Synod of Antioch, meeting in Balamand, Lebanon on Thursday, July 3, 2014. Since its inception in 1938, St. Vladimir’s Seminary has trained nearly 175 clergy from the Antiochian Archdiocese (formerly Syrian Orthodox Archdiocese), with these graduates making up about 16% of its alumni base. The Very Rev. Dr. John Behr, seminary dean, upon hearing the announcement, said, “We are all very delighted to hear this news: ‘AXIOS’! “Our seminary has, for over sixty years, formed priests for the Antiochian Orthodox Archdiocese, and we can now look forward to continued service to the Archdiocese under the leadership of Metropolitan Joseph. ‘AXIOS!’,” he exclaimed. Metropolitan Joseph was born in Damascus, Syria, in 1950. He was consecrated to the Holy Episcopacy on June 30, 1991, at the St. Mary Cathedral in Damascus, after many years of serving as a deacon and a priest. His Eminence was consecrated with the title “Bishop of Katana in Syria” and served as Patriarchal Assistant and Secretary of the Holy Synod of Antioch. In 1995 he was sent by Patriarch Ignatius to America. In the Antiochian Orthodox Christian Archdiocese, Bishop Joseph was assigned to the West Coast Chancery by Metropolitan Philip (+2014). After self-rule status was awarded to the Archdiocese, Bishop Joseph was enthroned at St. Nicholas Cathedral by Metropolitan Philip as the first Bishop of the Diocese of Los Angeles and the West on September 12, 2004. On December 11, 2011, at the Church of the Dormition of the Theotokos in the Patriarchal Monastery of Our Lady of Balamand in Lebanon, Patriarch Ignatius elevated Bishop Joseph to the rank of Archbishop, in honor of his many years of service as a bishop both in the Antiochian Archdiocese and in the Patriarchate of Antioch.